Martin Enqvist was born in Lund, Sweden in 1976 but moved to Linköping shortly thereafter. He received a Master of Science degree in Applied Physics and Electrical Engineering in December 2000 and a PhD degree in Automatic Control in December 2005, both from Linköping University. During 2006, he worked as a postdoc researcher at Vrije Universiteit Brussel in Belgium before returning to Linköping University as a Research associate (Swedish: forskarassistent) in 2007. Martin Enqvist has been an Associate professor (Swedish: universitetslektor) since September 2008, sharing his time between research and teaching. He was appointed Docent in March 2012. Martin Enqvist's main research interests concern system identification, i.e., data-based modeling of dynamical systems based on measurements of their input and output signals. This is an important topic within the research field of automatic control since most modern control-design methods are model-based. Actually, control-oriented modeling of an unknown system can be much more time-consuming and challenging than the actual control design in many cases. More details about Martin Enqvist's research can be found on the research page and in the list of publications. At the moment, Martin Enqvist is mainly working within the Vinnova Industry Excellence Center LINK-SIC, where he is area coordinator for the aerial vehicles and marine vessels research projects, within the EU project MarineUAS, and in a CENIIT project about Adaptive linearization of electronic devices, where he is project leader. Previously, he has worked in projects funded by the Swedish Research Council and by the Flemish and Belgian governments. 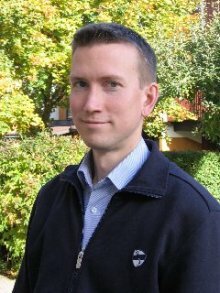 Martin Enqvist is currently examiner and lecturer in TSRT07 Industrial Control Systems and TSRT91 Automatic Control as well as examiner for a number of students who are writing their MSc theses. Furthermore, he is responsible for the study profile Control and Information Systems for the Applied Physics and Electrical Engineering program and member and vice chairman of the committee for electrical engineering, physics and mathematics education at Linköping University. More details about Martin Enqvist's teaching can be found on the teaching page.